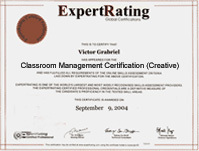 (leading to ExpertRating Classroom Management Certification-Creative). Creativity will abound in your classroom as you tap your students' hidden talents. Learn how to use creativity to teach reading, writing, visual arts, performing arts, social studies, science, mathematics, and physical and health education. Develop creative new approaches to field trips, learning labs, activities, exercises, assignments, and evaluation methods. Think beyond the textbook and challenge your students by making your classroom a creative classroom! This course includes a knowledgeable and caring instructor who will guide you through your lessons, facilitate discussions, and answer your questions. The instructor for this course will be Robin Sellers. About the ExpertRating Online Teaching Course (Creative) instructor : Robin Sellers holds a current teaching license. She has a Master of Arts degree in English with a concentration in technical and professional communication and a Bachelor of Arts degree in English with a certification in secondary education. Since 1995, she has taught at the secondary and post-secondary level. She encourages creativity in her classroom, teaches traditional curriculum classes in a computer lab, and incorporates technology including the Internet in her lessons. She also develops and teaches online curriculum courses. In 2003, she began teaching continuing education courses for teachers. The Creative Classroom requirements: For taking this instructor led ExpertRating Online Teaching Course (Creative) you need Internet access, e-mail, and the Netscape or Firefox or Internet Explorer Web browser. "Great class!! I can't wait to use these techniques in my classroom!" "I am a licensed teacher staying home with my children. I am taking classes for licensure renewal. I am currently home schooling my third grader and first grader. This class was perfect. I have applied many of the ideas in our school day." "I am an Art major and think myself to be fairly creative. I was impressed with your very practical uses of creativity for the core subjects. Your ideas will help me, since I also have to teach these subjects. Thank you for the over-all coverage of elementary curriculum." "I can't thank you enough for your class. I have learned so, very much and have used many of your ideas in my classroom this year. Your class is like a Vitamin B-12 shot and it encourages us to pass our energy on to our students. The students love it and so do the teachers. Thank you, again." "I felt that this course was very beneficial to me especially in the problem solving areas and can help me in my work as a health and physical education teacher." "I found this class to be interesting and informative. It covered a wide range of subjects and offered many ideas I had not heard about previously. I will try many of the ideas when I return to my classroom in August. This course has motivated and inspired me to be more creative as I start my 23rd year of teaching! The instructor was well prepared and responded in a positive way. Thanks for some wonderful ideas!" "I found this course to be interesting and useful. There were lots of great ideas presented that will be easy to incorporate into any classroom. All of the resources included in the supplementary material will be a great help." "I have taken 3 online courses so far. This is the best one yet. It made me want to get back into the classroom and try some of the ideas studied." 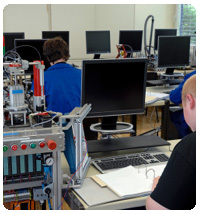 "I thoroughly enjoyed the class and took from it some good ideas that I have already incorporated into my classroom! Thank you!" "I will recommend this course to others!" "Just what I bargained for: on topic, interesting and thorough." "Superb course! Creative, fun, got my creative energies flowing! Thank you so much. Keep up the good work." "Thanks so much for a great course. I learned so much and am looking forward to applying all this new material in my classroom someday; hopefully soon!" "Thank you for putting this course together. I found many many ideas to implement into my classroom. It also just makes your mind think differently and notice new ideas as they come up in the year." 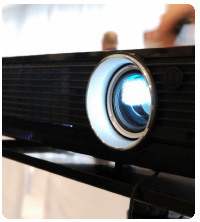 "The class was very informative and Robin was a great instructor!!!" "This class was awesome!!!! I am currently a stay at home mom but when I go back into the classroom these lessons will be put to great use!!!" ExpertRating is one of the world's only ISO 9001:2015 Certified companies (from TUV America) offering an Online Teaching (Creative) Course (leading to ExpertRating Teaching (Creative) Skills Certification). When you choose the ExpertRating Online Teaching Course (Creative) you can be sure that you are buying a premium International certification that is recognized by hundreds of employers and Government bodies in the US and other countries. With ExpertRating you get certified quickly online and you are equipped with a store house of information through the in-depth ExpertRating Online Teaching Course (Creative) Courseware which has been developed by experienced Teaching Experts. The ExpertRating Classroom Management Certification is by far the best value for money instructor led Classroom Management Program at $129.99. 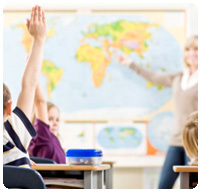 How much does the Classroom Management Certification cost and what does it include? You can buy this ExpertRating Online Teaching Course (Creative) leading to Classroom Management certification at a special offer price of only $129.99 which includes the in-depth ExpertRating Online Teaching Course (Creative) Courseware and exam fee. This is the best value for money Classroom Management Program available till date. You get the following services within the USD $129.99 fee. In-depth ExpertRating Online Teaching Course (Creative) Courseware including scenarios and case studies. World wide airmail delivery of the hard copy Classroom Management Certificate. The Classroom Management Certificate can be used to prove your certified status and does not mention the words "online". The process of getting yourself certified is very simple. All you have to do is buy the ExpertRating Online Teaching Course (Creative) for $129.99. Log in to the instructor led course using your password. Go through the ExpertRating Online Teaching Course (Creative) Courseware (which would take you 6 weeks) and complete the final Classroom Management Certification exam at your convenience. You can complete the exam within 2 months of buying the Classroom Management Certification. The result of the exam appears as soon as it is completed, and your Classroom Management Certificate is mailed immediately. Chapter assignments to help you practically use the Classroom Management that you will learn during the Classroom Management Course. The final exam is fully based upon the ExpertRating Online Teaching Course (Creative) Courseware that is provided along with the Classroom Management Certification. If you have gone through the courseware properly you should not have a problem clearing the exam. The exam consists of multiple choice questions from all chapters of the ExpertRating Online Teaching Course (Creative) Courseware. The Creative Classroom course will help to make learning more fun, interesting and interactive. Inculcating creativity in the classroom means that the teacher is ready to take new risks everyday and experiment with new teaching methods. The Creative Classroom course will give you a comprehensive understanding about the role of creativity and innovation in the classroom and the techniques to make the classroom a more interesting place. You will also get to know the advantages of a creative classroom and about the benefits that the students can reap out of a creative classroom. This is a valuable course for teachers, substitutes and those who aspire to be teachers to take their carriers to new heights. The ExpertRating The Creative Classroom Certification course will guide you about the creativity teaching techniques and the benefits of creating a creative learning environment. Are you a creative teacher? This lesson is going to analyze the traits that creative teachers share and explore how you can apply these traits to your classroom. Then you'll learn how to exercise your minds by using brainstorming to transform everyday classroom routines into creative learning opportunities! Can you encourage your students to be more creative? In this lesson, you'll discover how to find your students' creative talents and even recognize students' hidden talents. You'll learn to be a creativity encourager and prepare yourself to help all students become creative thinkers and learners. This lesson will also examine how thinking relates to creativity, how to teach students about how they learn, and how to use questioning to initiate the creative process. Does your classroom learning environment encourage creativity? This lesson is going to explore whether your classroom is nurturing or neglecting creativity. This lesson will provide you with the tools you need to make your classroom a creative classroom—a learning environment that inspires, encourages, and promotes creativity! This lesson will also explore how to create classroom rules and objectives that encourage creativity, as well as creative testing and grading. Can you create a space for creative learning in your classroom? Imagine a classroom where students learn about reading, writing, plants, animals, and mathematics at the same time, with learning taking place throughout the classroom. It's time to set up creative learning labs in your classroom, and this lesson will go over everything you need to know! You'll learn how to design creative learning labs for different learning styles, create themed-based learning labs, and best yet, find grants and other resources that can help you turn your learning lab ideas into realities. How do you encourage reluctant readers and motivate creative students? This lesson will go over many creative techniques you can use to transform reading reluctance into enthusiasm. In this lesson you'll explore ways to liven up those everyday reading assignments and make books come to life through creative reading. You're going to open your books and teach students to read, respond, remember, and relate—using creativity as your tool! What happens when students can't write? This lesson will take a look at creative ways to eliminate your students' writer's block and encourage them to write creatively. After you get your students' pencils moving, it's time to fine-tune their writing skills with some creative assignments that will challenge them, encourage them, and make them enjoy writing, even if they can't yet write their names. This lesson will also explore freewriting, dramatizing, imaginative writing, and writing circles. How do you encourage creative thought through art? Even if you don't consider yourself to be an artist, you can teach your students to create art and use creativity. In this lesson, you'll learn how the process of creating produces creative art. This lesson will talk about how to help students turn those early art creations into classroom masterpieces as you explore creative ways to introduce drawing and painting. Then you'll turn your classrooms into art museums for displaying mixed media creations. After that, grab your easels because you'll be learning how to take art into your writing, math, and history lessons, too. So what does it take to get a student interested in music and acting? In this lesson, you'll learn how to put students on stage—a friendly stage, a creative stage. This lesson will explore how to creatively teach music and drama through self-expression and how to provoke student interest in the performing arts across the curriculum. Some of the techniques this lesson will discuss include using self-expression in music—using mime, identifying with instruments, even thinking musical moods. And when this lesson moves into acting, you'll learn creative methods you can use to teach students to determine characters' emotions, create costumes, and create sets. Is science creative? Through problem solving, scientists find answers by using some very creative techniques. In this lesson, you'll find out how to turn your creative students into creative scientists. This lesson will start by exploring the scientific method and how to use it in all your classes. 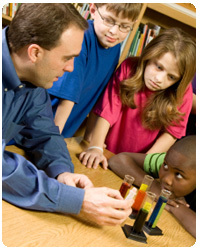 This lesson will discuss using scientific knowledge in everyday routines, like classroom discipline and testing, and then this lesson will take science out of the classroom as it explores some creative labs and field trips. Grab your lab coats, microscopes, and lab notes and prepare to think creatively! How do you make a connection to the world from inside your classroom walls? In a world full of facts and figures, there are creative ways to make these items real. In this lesson, you'll learn creative ways to teach students to analyze, interpret, and be active participants in the subjects they're studying. This lesson will start by teaching you how to relate social studies to your students' lives by using the social studies connections in your classroom: the school's chain of command, classroom rules, and collaborative learning. You'll also learn how to use critical thinking to analyze social studies textbooks, and you'll learn how to create social studies learning labs and field trips. Can math be fun and creative? This lesson will look at ways to make mathematical challenges fun through problem solving. 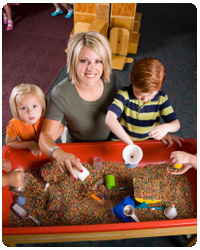 This lesson will make math engaging, creative, and fun by organizing math field days, and it will look at ways you can help your students relate their everyday lives to math through math learning labs, field trips, and much more! Can you imagine a classroom of students eager to participate in physical activity? Good, because imagination is the key! In this final lesson, you'll learn how to get students moving by helping them to use their imaginations. You'll learn about creative movement, creative team games, creative cooperative games, and creative assessment. You'll also learn creative ways to keep your students healthy as they promote healthy topics and flex their creative muscles. You'll also learn how to use conflict-solving techniques that will teach students to think of creative solutions for their problems.